Born in 1860, Fanny Mills was the daughter of English immigrants who settled near Sandusky, Ohio. 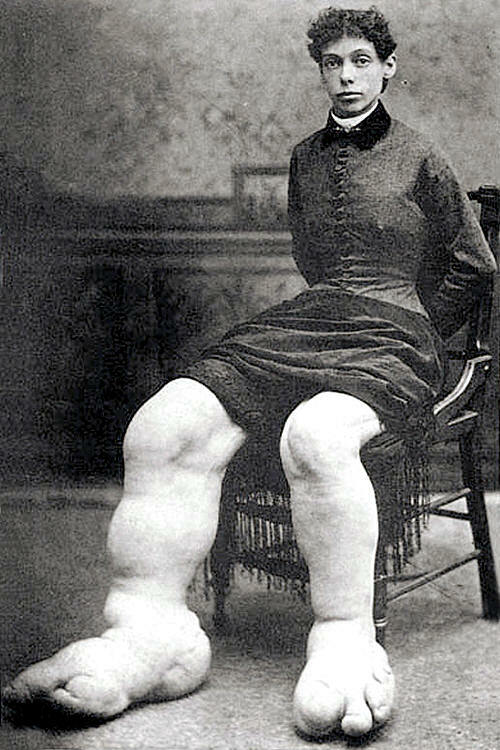 She had a condition called Milroy disease, which restricts development of the lymph vessels in the legs and causes fluid build-up. 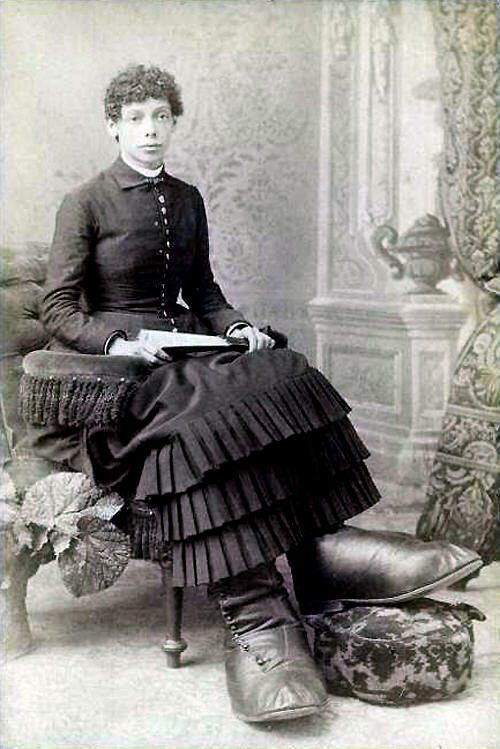 Fanny was a petite woman who weighed but 115 pounds, yet she wore size 30 shoes, each pair made from three goat skins, with pillowcases as socks. 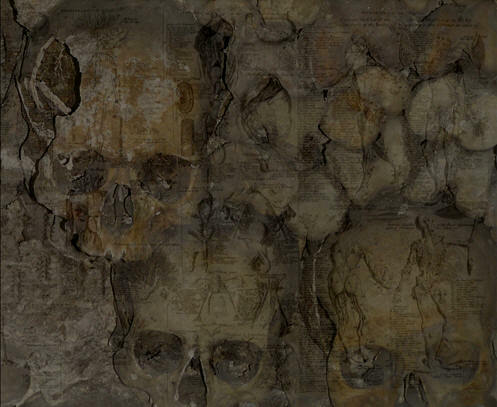 Each foot was said to be 19 inches long and 7 inches wide, although photos clearly show that they were not the same size. Her exhibition career began in 1885, when she entered the museum circuit, accompanied by a nurse, Mary Brown. 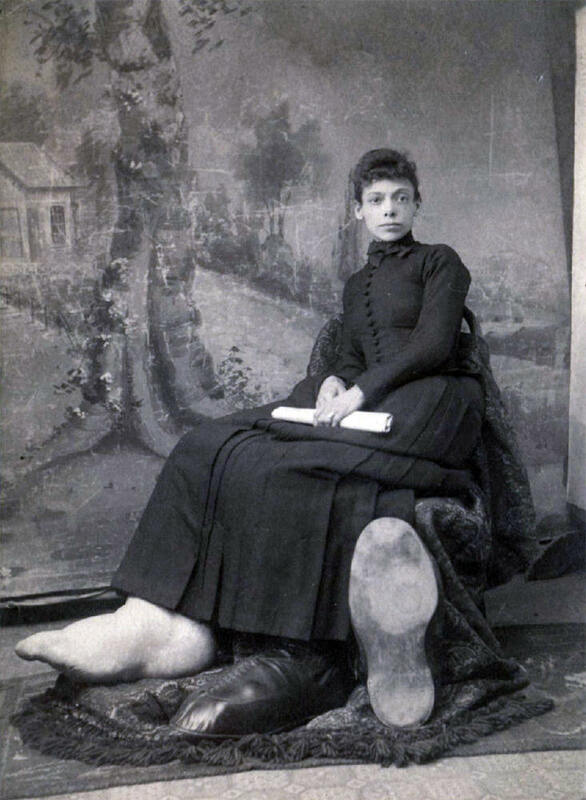 Brown helped Fanny move from place to place, as her large feet made walking very difficult. 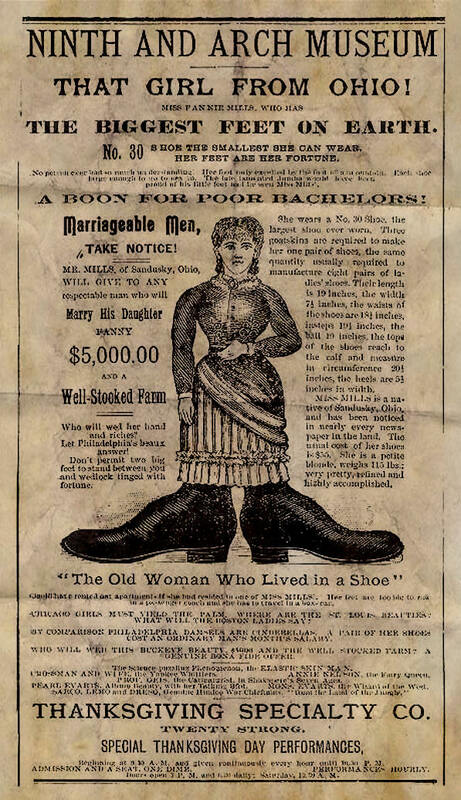 Fanny's promoters offered $5000 and a "well-stocked farm" to anyone willing to marry the big-footed girl. Eventually she did marry, to William Brown, the brother of her assistant. When she came down with an unknown illness in 1892, she retired from showbusiness, returning to her family's farm with her husband. She died the same year. Source: Marc Hartzman, American Sideshow, p. 67-68.